Preparing for a KSA Home Inspection is very simple. You KSA inspector will need access to all areas and every room in the home, as well as the roof and yard. Ensure Electricity, Water, and Gas are turned ON. Your KSA inspector will not conduct home inspection services unless Gas and electricity are on. Access to all Electrical panels and closets, crawlspaces, heating and pump rooms, attics, all rooms within the house, and the roof. All mechanical equipment and household will be tested. Will KSA Home Inspections LLC perform corrective action or repairs of problems found during the home inspection? KSA KSA Home Inspections LLC prides itself in the integrity and objectivity of the home inspections performed by KSA. To maintain this objectivity, KSA prefers not to make any repairs or corrective actions directly nor will it refer clients or make any recommendations for contracting the repairs. Will KSA Home Inspections LLC perform secondary or follow on inspection after the corrective maintenance has been performed? KSA Home Inspections LLC does not perform follow on inspections to check the status of any corrective maintenance or repair. However, KSA may perform additional inspections as may be contracted by the client. KSA stresses the importance of a properly conducted home inspection and suggests that the structural, mechanical, and electrical integrity be checked prior to your investment. Flooring unstable or unsafe due to damaged or rotting floor joists. Improper clearances around chimney posing a fire hazard. Heating and cooling systems broken or not functioning properly. Roof damaged, worn shingles, or leaking roof. Exterior siding not properly protecting structure; allowing excessive moisture and water damage to wall supports and framing. The main reason to have a home professionally inspected is to learn about problems with the house that may not be obvious to a non-professional. Are cracks in the walls, walkways, driveways, patios, etc. structural problems of normal aging? Is the visible electric wiring in the main panel, attic, and garage safe? Is the visible portion of the plumbing system functioning properly? Does the heating/cooling system operate properly? Are the any unsafe conditions in the house? 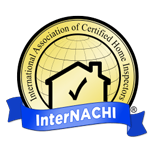 What Information is Included In A Home Inspection? When Do I Call KSA Home Inspections? When you have decided upon a house that suits your needs, you will want to schedule a KSA home inspection to gain full understanding of the property. KSA Home Inspections LLC will then provide you with a thorough and knowledgeable inspection report to help you understand the condition of the home so that you can proceed with confidence. The average inspection takes from two to three hours depending on the age, condition, and size of the property. Make sure your Realtor allows enough time to schedule your home inspection. Lead time normally runs between one to four days. Can I Be At the Inspection To Ask Questions? KSA Home Inspections LLC suggests that our clients be at the home inspection. Questions can be answered and components can be visually observed as they are described by the inspector. Rates for home inspector services are determined by the square footage of the home and will be provided upfront to the client prior to the inspection.